- NATURAL EYECARE SOLUTION; corrects poor vision problems without subjection to surgery, drugs or spectacles. - NON-PRESCRIPTION AND AFFORDABLE; home-based natural eye vision activation therapy done at your convenience. - TOTALLY SAFE WITH NO SIDE-EFFECTS; actually eliminate stress, tension and headaches which are usually caused by wearing reading or prescription spectacles. 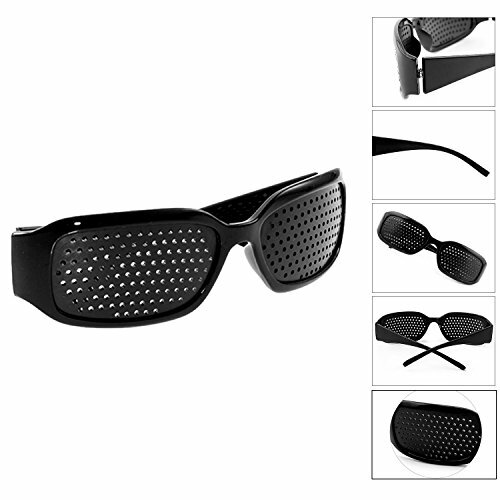 - FAST ACTION; works to correct eye vision problems naturally within weeks. Grenhaven Pinhole Glasses are the perfect solution for you! Click "ADD TO CART" Now!